Regular exercise is necessary for physical fitness and good health. It reduces the risk of heart disease, cancer, high blood pressure, diabetes, and other diseases. Added benefits include weight control, stress reduction, and muscle flexibility. Alpha Alpha Kappa Zeta participated in a 5K Walk along with other chapters across Georgia to bring awareness to the importance of exercise. 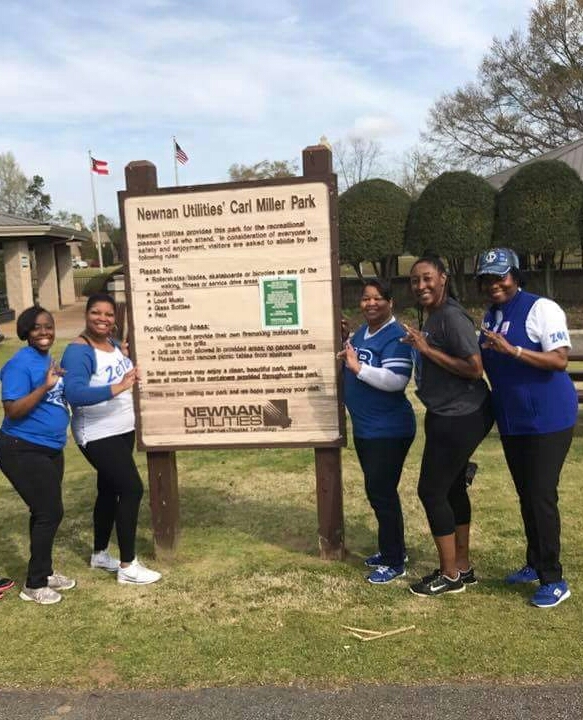 On March 25, 2017, AAKZ sorors laced up their sneakers for several trips around the trails at Newnan Utilities’ Carl Miller Park. 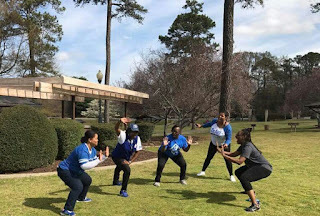 Before beginning their journey, they stretched to loosen up muscles. The chapter is also a partner of the Summit YMCA, where healthy lifestyles are promoted.